The new Nintendo Switch will be available soon in March 2017. Although it is a home gaming system, it is more portable than any other since you can remove the console and bring it with you anywhere. The biggest question was how long the battery will last after you remove the console from the dock. Nintendo had the answer in the Nintendo Switch Presentation 2017. They said that the battery life will vary from 2.5 to 6.5 hours, depending on the game and the mode you are playing. For example, when you play the game The Legend of Zelda: Breath of the Wild, the battery will die in about 3 hours. 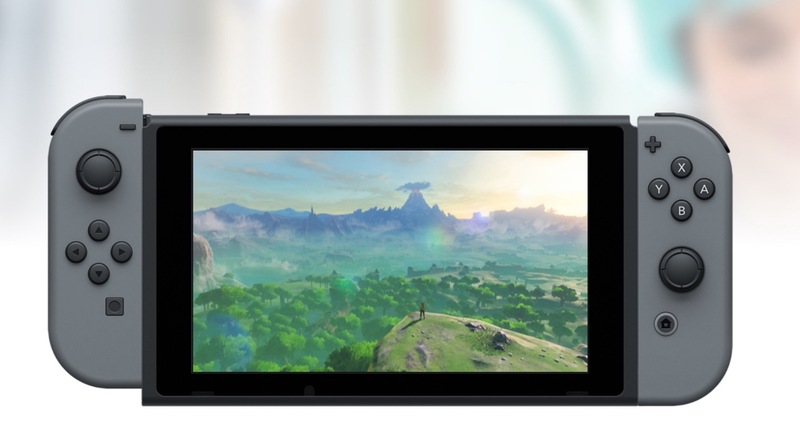 The battery life in the handheld mode is slightly better because when you attach the 2 Joy-Con controllers to the console, you don’t need a wireless connection between the units. When you stand the console on the table and remove the 2 Joy-Con controllers, you should expect a shorter battery life. The battery life is better than I expected. In comparison, the battery life of the Nintendo Wii U Gamepad is 3-5 hours while the Nintendo 3DS’ battery lasts 3-5.5 hours. Besides, if the battery is running out, you can still continue playing by plugging in the included USB Type-C cable with the AC adapter. So, no more worries about the battery of the Nintendo Switch now.